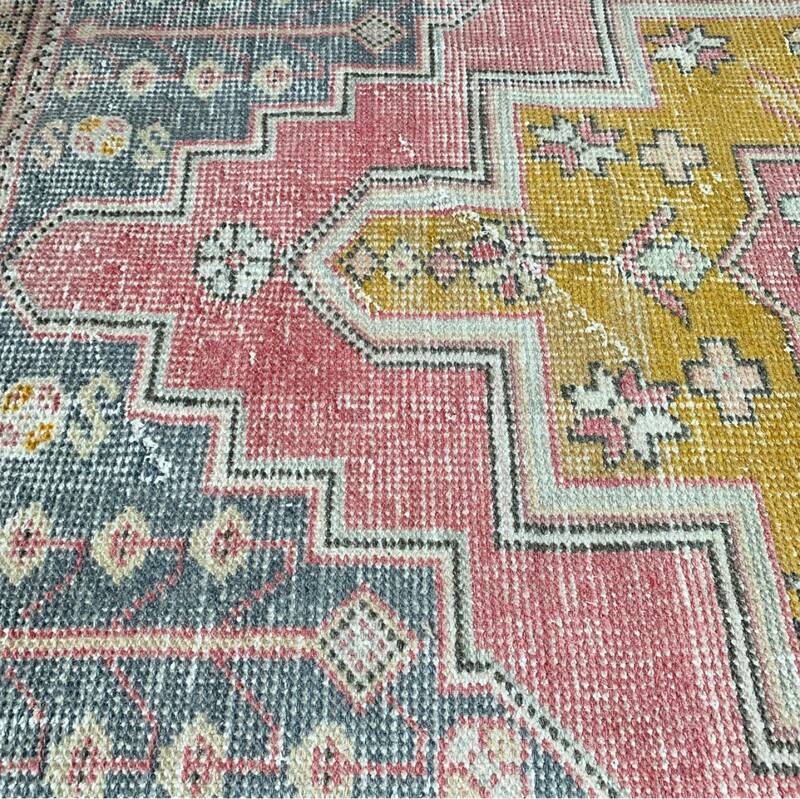 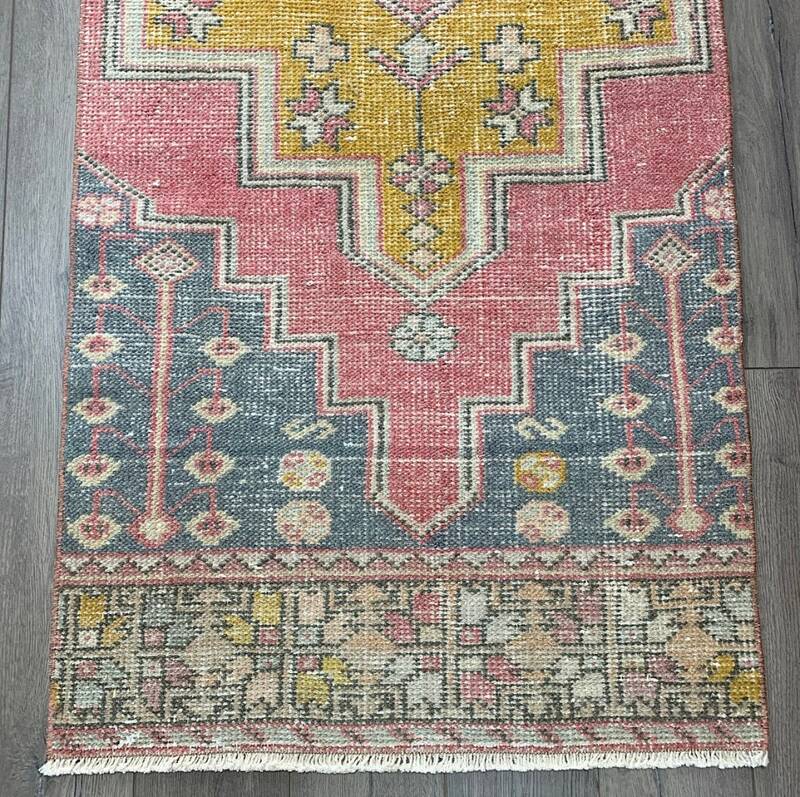 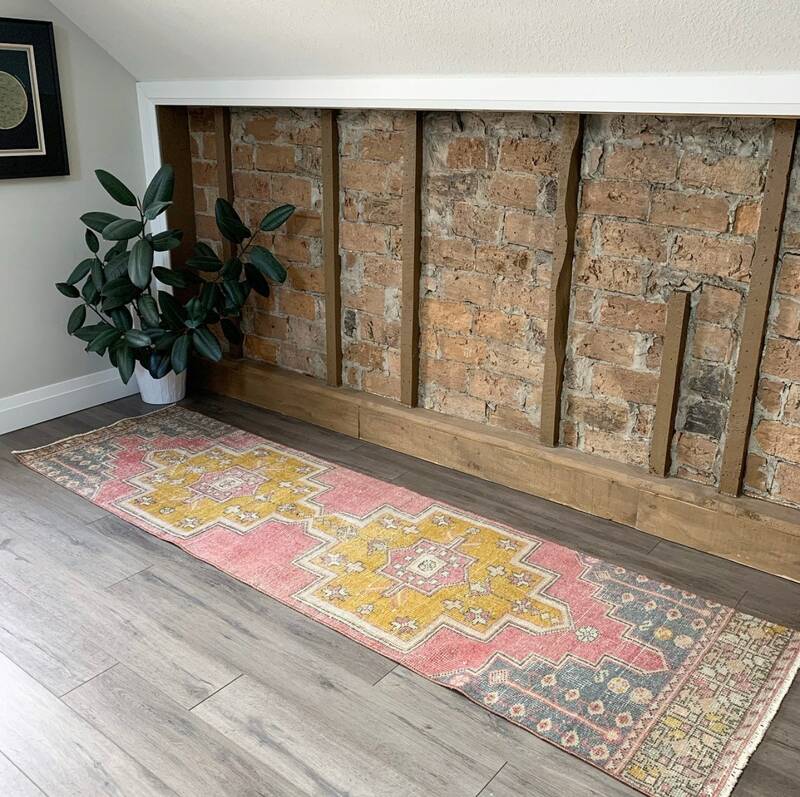 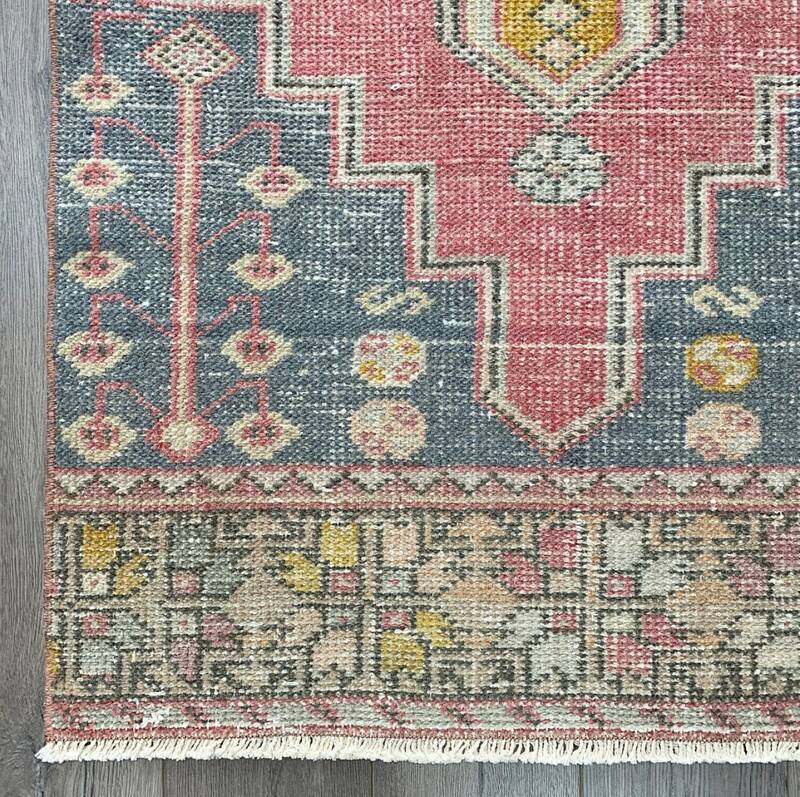 This Turkish rug was handknotted in the 1950s in Turkey and has kept its colours wonderfully. 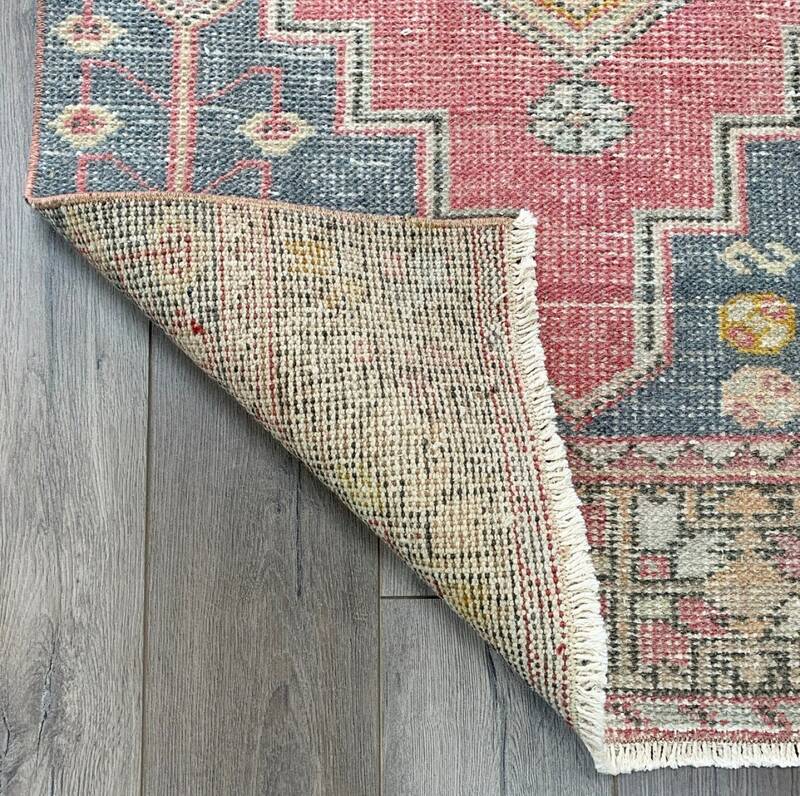 A versatile size, it’s in great vintage condition with only a few repair spots visible. 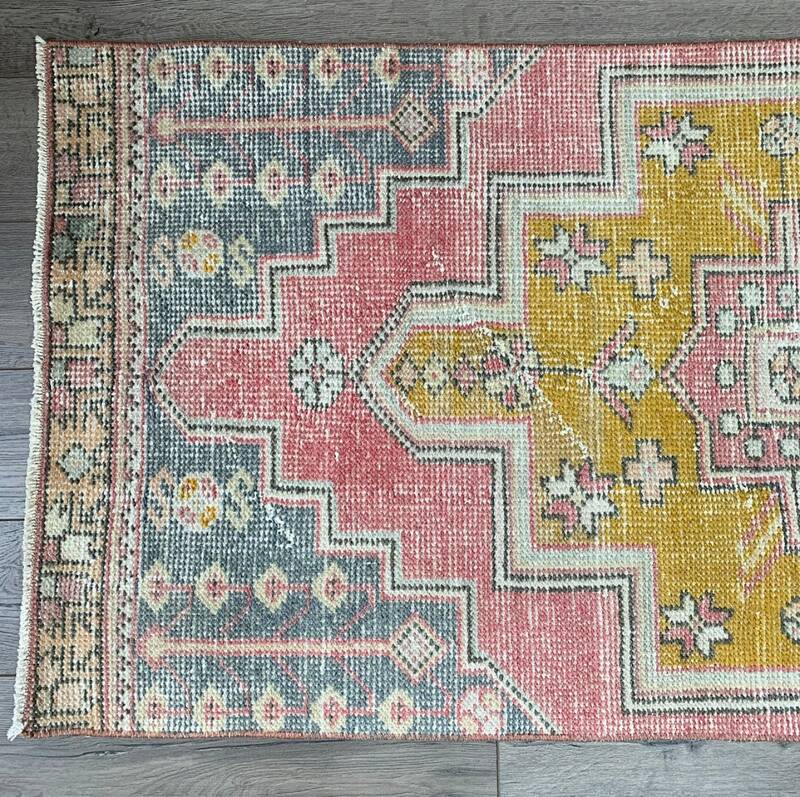 The supporting colour palette makes this distinctly modern - blue, pink, orange and yellow balance out the otherwise the pink and yellow colour palette. 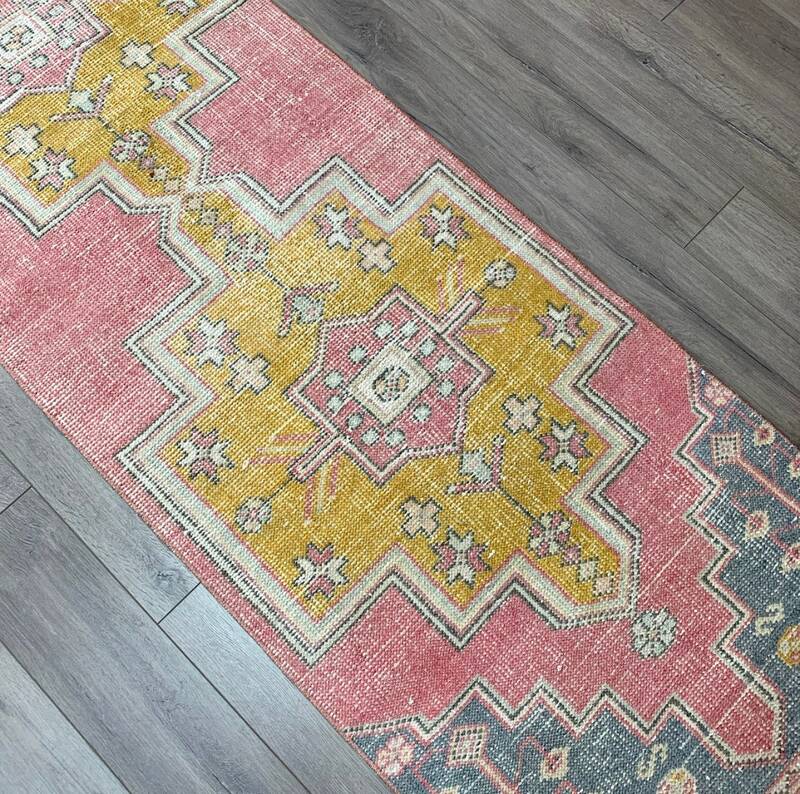 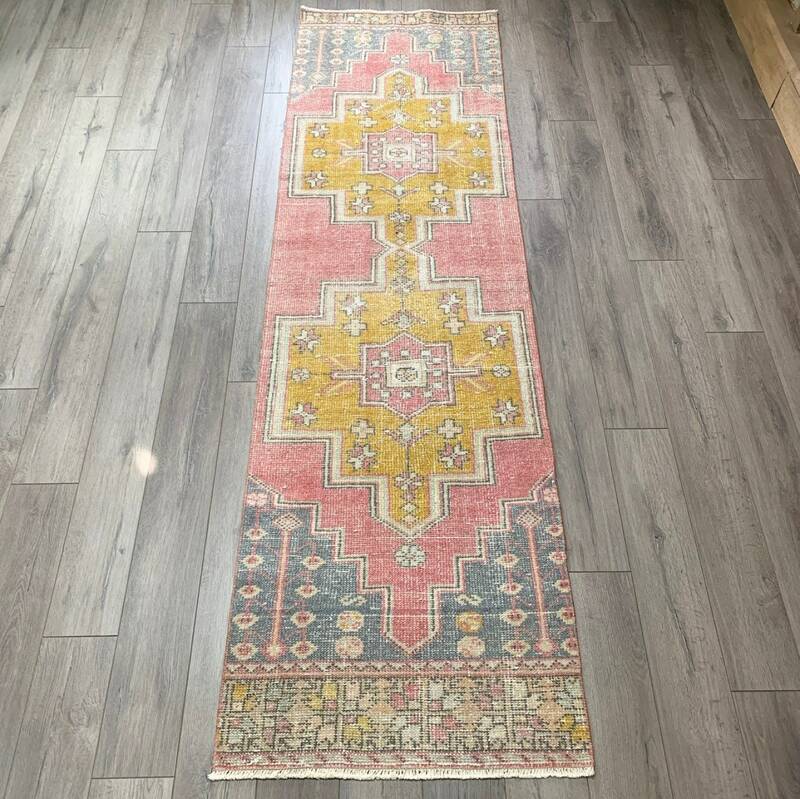 This runner will work in many rooms, including a kitchen, hallway and bedroom. 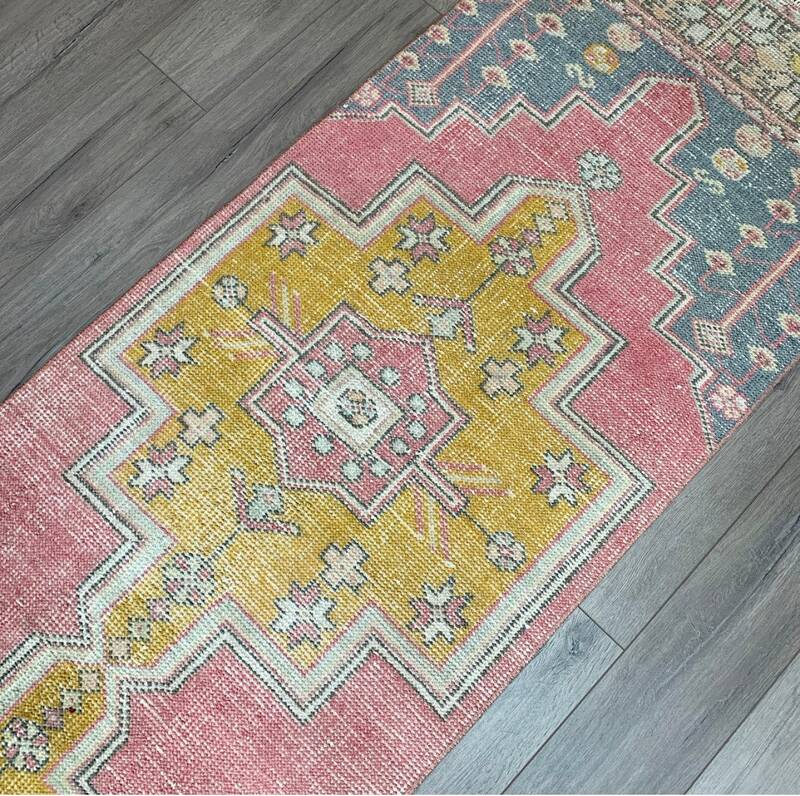 Turkish rugs are knotted with a very low pile and are durable enough for everyday use. 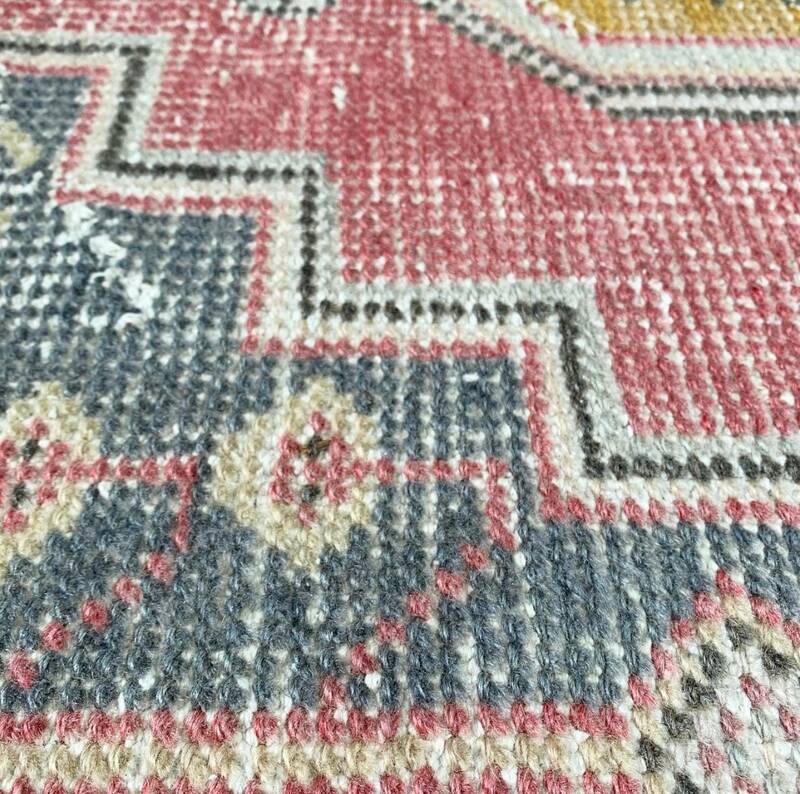 Vacuum regularly and spot clean as needed - a great fit for high traffic areas or homes with little ones.